If you have not been keeping up with Nollywood actor Emeka Ike and his wife of 15 years, Suzanne Rero Ike, here’s a quick summary. Suzanne reportedly filed for divorce a couple of months ago and it surfaced in her court testimony that she had allegedly suffered emotional and physical abuse for years. 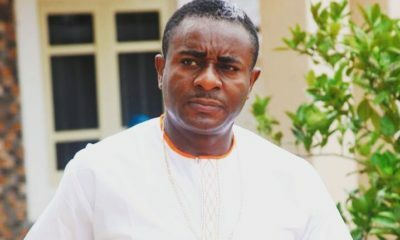 Emeka Ike refuted the reports and he denied ever laying a hand on his wife but admitted that his wife has left their home. He appealed for her to come back and explained why he cannot be a wife beater. He has now released an official statement where he tries to pin-point the cause of the marital issues while also categorically stating that he has never laid hands on his wife. He also mentions that certain influences might have added to the breakdown of his marriage. Read his official statement below. The lawyer Chris Okotie hired for my wife is also frustrating every attempt I make to resolve the matter peacefully. Even if the couple decide to split up, we hope they can resolve their issues amicably especially for their children. Emeka Ike, keep shut and go for anger management. Your wife is tired of you beating her according to reports and even your colleagues in Nollywood say you are troublesome. Stop trying to deflect attention from your wife beating ways to the Pastor or anyone else. She’s no longer interested in you using her as your punching bag. We know your type, I am sure you had promised to change many times which is why she stayed with you for so long but you never change. She is not interested in becoming the next dead woman in the name of MRS! It’s all about saving face. Saving name. Most “celebrities” in Nigeria are hypocrites. In the vintage style of Chris Okotie. Be afraid, be very afraid. Is social media really the best platform for this????? BN pls make this a topic on its own. how much information is reasonable to put out there??? Mrs Ike,pls show mercy n remember d vow u took on ur wedding day,for better for worse,pls go back to ur family n amicably resolve ur issue.am sure ur husband will change for good dis time around,if he wronged u.pls do not let d devil put asunder what God has joined togeda.remember dat God is love n he’s a God of peace n he will not want u n ur husband to divorce,pls I beg u in Jesus name.to give ur husband anoda change n pray n get close to God pls. You want her to remain the the marriage even though he is beating her? People like you make me angry! How can you use the Lord to beg her to go back to her abusive husband? There should be a point where Christianity will allow divorce. If she turns up dead now, what will you say? Instead, you should pray for her husband and beg the Lord to cast the demonic spirit that is within him away. I am a Christian, however, I will never stand for an abusive marriage! I’m not saying Emeka is abusive, we don’t know what really happened, however, if he is, she needs to pack her bags & leave! I don’t think any woman in an abusive marriage should stay. I have seen victims of physical abuse in a marriage. Its not a pretty sight. Emeka Ike to blame a 3rd party (because he is popular) for your sorrows and failure in marriage is plain dumb. No matter how sensational your allegation is, your problem will still be your problem. Deal with it. If you are married, I am sure you wont be talking like this. Its difficult to give what you dont have! Just pray for them. @Femoratura, so because they are against staying a physically abusive marriage, they must not be married? Nigerian women always pull this card when another women presents a progressive point of view. No one is saying it is easy but some women don’t want to die in their husbands hands either. Some women would rather be single and safe; than married and living in fear of their lives. I have seen what a domestic abuse victim goes through and I do not wish it on anyone! Forgetting the physical pain, wounds and bruises, the psychological affects also cut deep. The fear, sadness and loss of self-esteem is serious. Not to mention the effect on the children from witnessing ‘daddy beating mommy’. God will bless you. 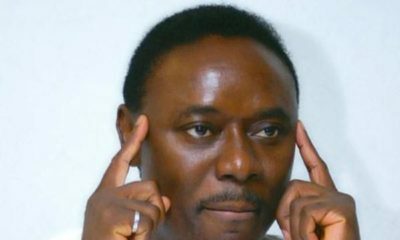 Chris Okotie is no man of God. What is marriage after all. Why would not the wife remember the vows she made. And for any pastor to support breakage of any marriage, look at the pastor critically : he is interested in the woman. I have always told friends, ” never you trust any of these bleaching these day pastors with your precious wife, for one day you wil lose her to these devil controlled magic pastors. When any woman decides to abandon her children for any reason and embrace s another man, note very well that the day she met her: “sweetheart ” now her bitter hearl , to the time they went to the so called alter, she already has her plans Bs. So, vexatious behaviour from her attracts sometimes wrong response s from the husband. This is where the plan Bs come in.Your pastor usually wrecks your marriage in the name of counseling or mediating for you instead of insisting on following God’s order of no divorce primarily, after marriage. The woman who abandons her children because of misunderstand ing with her husband, to me has no case. 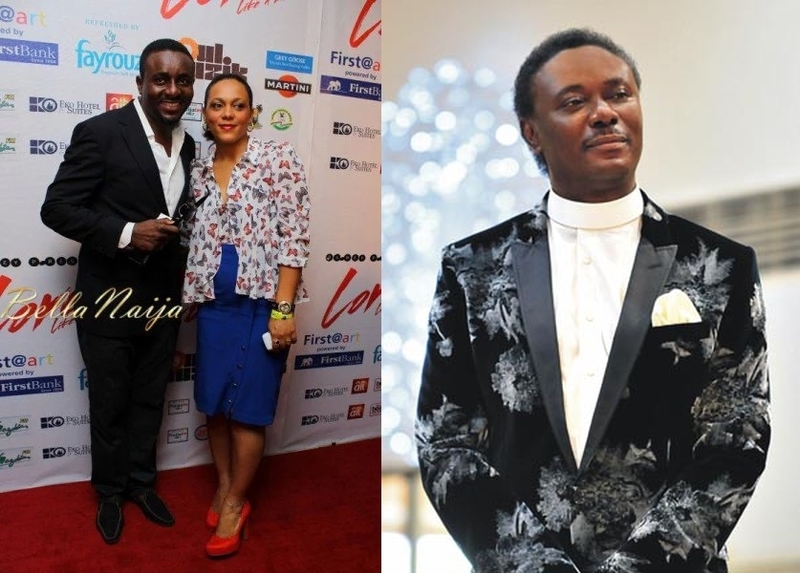 Was it true that Chris Okotie divorced her wife sometime ago? If it is, then whst does anyone see in him to be to do moral job. Woman go back for your vows and importantly, your kids. Watch your mouth, don’t express your assumptions, express your facts buttressed with admissible evidence. Therein your intelligence will blossom. what exactly are you on about?u want her to stay in an abusive relationship kos of vow? did he think of d vow when he was panel beating her?and which children by d way? is it the same children dat he will render motherless when he eventually kills her?pls pls pls pls u guys are taking this “for better for worse”thingy too far.somebody wants to kee me and u r saying for bbetter for worse??? infact do me a favour please………. I don’t believe you. You shouldn’t have bothered with the statement. Go seek the face of God. If she doesn’t want the marriage anymore then leave her and MOVE on! When someone keeps trying explain them self, there gets to a point when the person starts to look suspicious. Say your side of the story & leave the rest to God. If it is the opinion of others that you’re worried about then screw them! Let them think what they want to think… They’re all hypocrites! That’s not how marriage operates. He should pursue all avenues to seek reconciliation, stop telling him to move on. Are you even thinking about the children from the marriage? This our modern indomie approach to marriage will result in more harm than good. Divorce/Separation should be a last resort, if at all. Hmmmm,don’t know what to say but its is suppose to be”OUR”children not “HER” children. emeka ike I have lost all respect for you. typical nigerian man as usual, always trying to demonise and discredit their ex wives. they will do and say anything to discredit their ex wife’s story. dear emeka ike’s ex wife pls if u know what is good for u, u better dont go back to this lunatic. how did u even managed and survive with him for 15 years? u deserve a medal. Bruno babe, is this you??? What happened? As in…the same number of years, same allegations, same mudslinging…yet a totally different outlook. O ga.
“… how did u even managed and survive with him for 15 years?” says the English master. Why is it that men think that if a woman wants to leave their marriage, then Jazz is involved? They never look within and question themselves. It is always either the influence of bad friends or its jazz. Naija men, start telling yourselves the truth o. Your wives are not taking your BS anymore. Say what you wish dear with the “hope” that the “Pastor” is fake and heaven, God and angels with flaming swords of fire is all fiction too. Otherwise I am very sorry for you!! Be careful what you say about Pastors dear. Enough with the idolatry. Pastors are human beings just like me and you. If you’re telling the truth, open your mouth and say it. Its your responsibility regardless of whether that person is a pastor or not. There is definitely more to this.. Is he accussing her of adultery too.. No woman will on her own leave a marriage of 15 years plus her children without nothing serious happening.. Not taking sides but stop using social media it’s making matters worse.. Most people in church go to clam for spiritual backing but household is entaintaning and they give out gifts because they know it keeps a lot of people like me coming back. Emeka Ike you used to hit your wife, and I know that for a fact…. That alone makes me believe that every other thing you have said is a freaking lie… This was d same way my father used to beat my mum black and blue and would lie about and say things she didnt do, even till now that we’re grown he always says he never hit my mum, that d beatings were a figment of our imagination from what we were told… I was like huh?! Does this man think I cant remember seeing this things? As For you Emeka.. remember you don’t live alone on your street, people hear and see things. You’re only trying to save yourself and drag a man of God into this, same thing my father did, You men are just d same…. Mscheeeew! Sorry Emeka Ike, I don’t know if your statement is true or not but what I will say is that my husband used to beat me. I have a picture to prove it. I didn’t write it down when I was told to write my complaints in a letter to him. I never raised that issue in the family meetings we used to have. I simply said I want to leave him. I guess I just could not admit the truth for a very long time. Writing it means facing it. Its harder than it seems. Well, Emeka Ike if she wants to leave let her…..As long as u have your children, you don’t need your wife…..Any woman who leaves her children in the Hands of a so called abuser doesn’t deserve my pity..
You do not know the circumstances of her leaving the home. IT Happens. The mother of a friend left her home after them man almost killed her, He told her in front of the Children that if she thinks that she can leave with the kids then she must be ready to die, he beat her to a pulp and left her unconscious in the hospital. My friend’s mum had to escape to another state and waited for years before she could sneak into Lagos to visit her children in school. Till date the children sneak out of school to visit their mum because according to them if he finds out (and locate the mum) He will kill her. Are you for real @Lotus flower? Pray you do not jam a real mean MF who will kill you first than allow you leave with “his” children. This story here is fishy. Very smelly. The woman previously released a statement that the mother in-law moved in immediately she moved out and any attempt she made to speak with her children was rebuffed by the MIL. Even the sister in-law took over the running of the school. You want to fight family war? On top wetin? Abusive marriage? Abuse is not only physical you know? 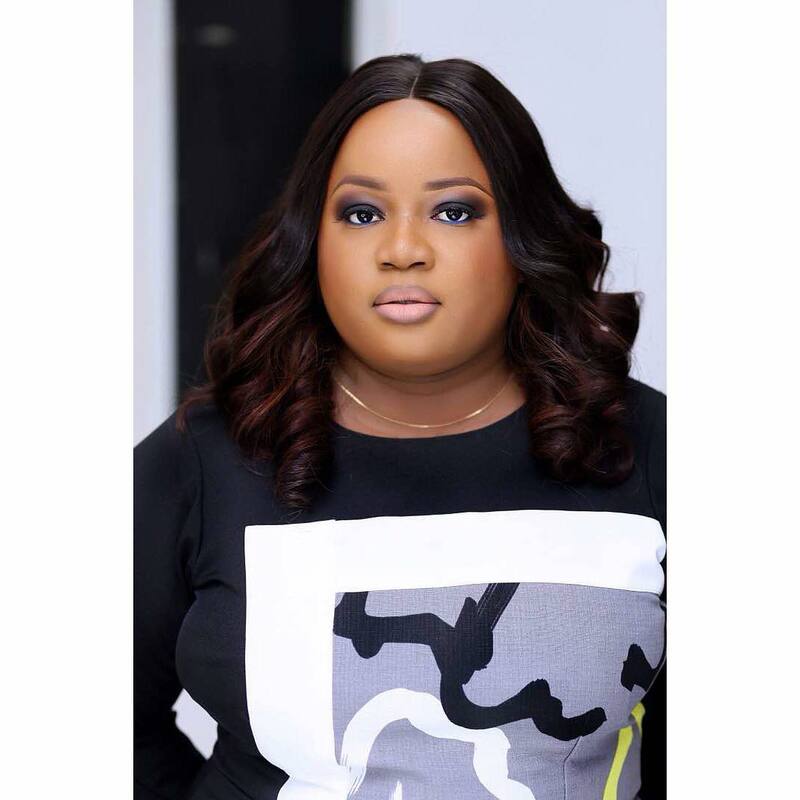 The woman also in a previous post complained that Emeka would often call her a prostitute and that no one would have married her if he did not pick her off the street. He just confirmed it by accusing her of bringing men home. When a man calls the wife a prostitute what is left to stay back for in that marriage? Emeka comes across as arrogant, angry and juvenile. He is unable to deal with the fact that she left without waiting to be pursued or have her things thrown out. Idiot man. it is well o. really…bcs this one pass me. I pray for peace for your home Emeka and Emma, whatever the issue is. May God’s love and peace fill your hearts and home. and why is she called her Suzanne. we went to school together in Unilag class of ’09 and her name was Emma on all her school docs, abi she don change name? But I wonder what those who attend Chris Okotie’s church expect of his marriage counselling. Considering it coming from someone who has no respect for marriage, and sees divorce as a normal thing. First time to comment on this blog, I want to say, there is something not getting right and clear in this matter. I don”t like the idea of people using social media to handle their marriage/relationship problems. We should learn to solve problem without social media platform period. You have made a point. But if you were in his shoes, what else could you possibly do? Please stop allowing men to use and abuse you. Have some self-confidence, self worth and self respect. Do not allow society, culture and religion to bully you in to staying in unhappy situations. Life is too short and you shouldn’t spend it on idiots!! Stay blessed ladies! No man takes away my children from me. Marriage or no marriage. Abuse or no abuse. I wouldn’t have forgiven my mother if she did because if the home is unsafe for you, how about me? money can cure all of this nonsense, especially for this generation and above. emeka just needs to step up his formula. “Her children have been begging her to come home, and she has refused.” this statement carries no sense of togetherness her children or our children, something is wrong somewhere a man who brings blame upon another man for his misfortune has a big challenge in his life. Yes Des, something is wrong somewhere. And her husband is telling you but you are not listening. Other men,…of God and sometimes the Devil, can and have destroyed homes that have marital problems. If she is such a decent person, why would she leave her kids behind? Yes, something is wrong somewhere…in HER HEAD!!! “If she is such a decent person, why would she leave her kids behind?” See ehn, I was gonna write an epistle to correct your thought but it’s not worth it. From your press release alone it is obvious that you are EMOTIONALLY Abusing your Wife, if not Physically. Or how is one expected to view your wife from the following statements that you made? 2. “I am pretty sure my wife is acting CONFUSED; she is acting as if she is UNDER A SPELLl, which is PSYCHOLOGICAL and then she is acting UNDER BLACKMAIL…..”. I believe Emeka Ike that he is not beating his wife…any woman who was physically abused by her husband will NEVER, and I repeat, NEVER LEAVE HER CHILDREN BEHIND WITH THE HUSBAND!!! And pastor Chris Okotie a.k.a “I need someone to…”, thinks that that someone is another man’s wife: He wants Emeka’s wife to leave her husband and children, take as mush property and money and give it to his church…this might be his agenda; can’t trust these money hungry pastors of nowadays, OH!!! gbam. why leave the children? That’s a big lie. There are many abused women who leave their kids behind for a variety of reasons. 1)she may not have the financial capability of taking care of the kids. 2) the kids may be in school and she doesn’t want to disrupt their education. 3) the man and in some cases along with his family may have intimidated her into leaving the children. 4) in some cases, she may lose custody of the kids especially if she cannot afford a good lawyer. So saying an abused woman will never leave her kids behind is incorrect. It’s not that straightforward. This Emeka guy comes across as extremely arrogant and chauvinistic to boot. I certainly have a big problem with his reference to his wife as ‘this woman’. It’s so disrespectful. I once watched an episode of Jara where he was featured as a guest and he was downright disagreeable and unpleasant to Helen Paul. I had to change the channel in disgust. No rational thinking woman will walk out of her marriage without a good reason. He must have shown her hell. Nonetheless, all hope is not lost. May God intervene in this matter. He’s actually very chauvinistic and arrogant. A Bipolar and psychomanic man will never believe that he does anything wrong, Emeka Ike is still in claiming that he never laid his hands on his wife, so was my Ex husband. If she doesn’t leave, he will kill her and say she simple fell down the stairs and that he never laid his hands on her……….Emeka start seeing a Psychiatrist because you need one. First thing I noticed “her children” not “our children” except the children aren’t his. Lets assume all this dude is saying is true, my recommendation will be go aheads and divorce this woman bc she’s not feeling you anymore period. You should never force things to happen, I understand you guys have kids together but that should not be a base for you guys to be together when there’s a zero understanding and love. IKE shine your eyes, make you begin focus on your hustle live this woman alone. My father always say women go after successful men and unsuccessful men go after women. On this freaking world, nobody is worth dying for, At the end of the day all this things na vanity. Women or men matter na shoulder u suppose put am like military rank when e heavy you, bend your shoulder e drop and u go waka. Emeka no be today we begin hear as you dey panel beat this woman. Talk another thing. Am I the only one who noticed that Suzanne is Chris Okotie’s spec? Just saying. Yes o. I noticed. Fair, biracial looking women. No man or woman is perfect. Marriage fails when either of the partners expects perfection. So, brother Ike, Ogo m nwoke please be more contrite and do all in Heaven’s to win back at least the acceptance of your wife, then work on winning back her love, lest you lose her to her or your pastor: never trust anyone or any of these wealth worshippers. On your side, madam, bear in mind that your kids will curse you if you abandon them. No other man will be more perfect than the father of your kids. What you want to embark upon now is the journey of the unknown. This is not good for a christian let alone a born before or born again child of God. These different from being a christian for not all Christians are practically children of God.. Then choose where you belong snd obey or disobey your God. Your pastor if he is interested in you will destroy not only your marriage but you. What’s unfolding between you and your husband is the vogue in the US and Europe where women marry, divorce, marry again and divorce as many times as they can fancy other men , then find the funniest excuse to leave their husbands with share of his wealth. This is what probably you are doing now such that you will stuff your ears with wax no matter how remorseful or repentant Emeka seems. Men are not better than women. So, unless you’re prepared to succeed, no way. Emeka is a wild animal, he beats his wife even in the presences of his worker. There was a day he hit the keyboard on her head. i was close to family and i can tell you Mrs Ike was in hell. The few years i was with the family…. Ema that is wat we call is a peaceful woman. There are days emeka will not give her money to take care of herself and the 4kids and he will travel for weeks, most times she will go and beg some of her customers for food stuffs on credit, their neighbor in magodo will know wat am talking about. To crown it all emeka is a cheat and any time ema caught him he will beat her and tell her there is nothing she can do about it. with respect to the kids it was Emeka at took the first to kids to Abuja and the wife was left with no option than to go with the other two when the court sent them packing from their house and school premises for not paying the rent for 5years. If it was your daughter that Emeka Ike was beating like that, will you say “true. however, let them allow God”???? So he should kill her abi? Different stories and Many testimonies from different Sources. Its difficult knowing Who is telling the truth. I just hope that they reconcile and end this negative publicity. So because we don not condone wife battery we must be single. Your bias will not “unmarry us o”. I have also seen men, who are victims of domestic violence. Some women beat their husbands. This man got fed up of his marriage due to his wife’s violence. the man had shrunk to a sorry state. He recounted his experience with fear in his heart as he begged the judge to dissolve his marriage cuz his wife was always beating him. The wife will beat him and take him to the hospital> Choi!! If you say Emeka Ike’s wife should stay. Should men that their wives beat them stay in such a marriage??? ?